Fantastic underwater world and crazy carnival – we showcase an unusual spectacle which sensitises Indonesians to the beauty of its underwater world and the need to protect it. 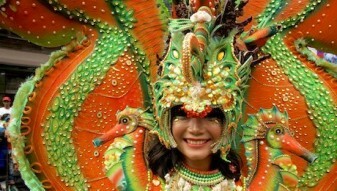 The Jember Fashion Carnaval takes place in East Java every year and is a truly special occasion. 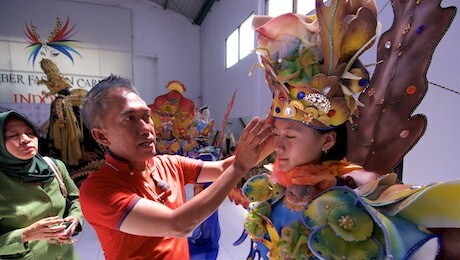 The carnival was initiated by local fashion designer Dynand Fariz, 54, who wants to promote the creativity of local youngsters, setting different themes for the costumes every year. The costumes are presented in a magnificent show which attracts crowds of onlookers and a huge media response in Indonesia. In 2016, the fashion designer chose maritime themes for the carnival show, hoping to raise awareness of Indonesia’s natural beauty and the urgent need to protect its underwater world. 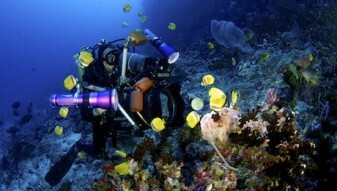 To do this, a Swiss film crew shot underwater film sequences of the inhabitants of the world’s most species-rich coral reef, inspiring the costumes for the show in 2016. The carnival takes place in the streets of Jember in front of hundreds of thousands of enthusiastic spectators who marvel at the creative and extravagant costumes. 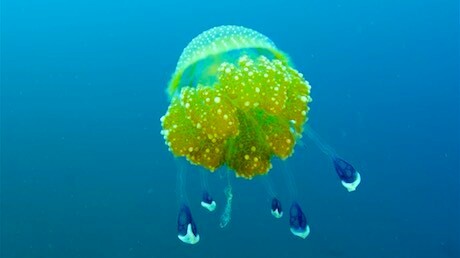 A spectacular film that opens our eyes to the uniqueness and beauty of Indonesia’s underwater world and its sometimes bizarre inhabitants, and also highlights the risks that threaten it.